You remember the apartment complex where we stay in US. Pappa was coming back from office and slowly driving on Capitol Avenue. I could see the apartment from far and first thing you see from far, is a big flag fluttering over the apartment. If you remember, it is the national flag of America. It is a beautiful flag and when the wind blows, it starts fluttering and dancing. If you keep looking at the flag, you will see RED and WHITE stripes. They are almost like the stripes on your frock. Start counting all the RED stripes. How many are there? If you get 7, then you are right. If you haven’t, try counting again. Then count all the white stripes, you will get 6. Now if you count all the RED and WHITE stripes, how many stripes will you get? You will get 13. America had 13 different places in the beginning. That was very very long back. Look at the stars. They are all white and what is the color of the “box” where they have placed the stars? It is Navy blue. Remember the uniform Ammama had stitched for you long back? I think the color of the uniform frock was navy blue. Now start counting all those stars. It is very difficult to count those stars. You need to know how to count up to 50. But Akuchechi will know. Let her count. There are 50 stars in that flag. It is because US has 50 states. California is the state where we live. We used to live in Virginia too. That is another state. You can see picture of all states in US in your LeapPad Book. Dubai where Akkuchechi lives also has a beautiful flag. It has four colo rs. Count the number of colors in this flag. There are four colors. Can you name each of the colors? Yes Red is there. Then Green, White and Black. If you really look at this flag, you will see letter E there. Dubai is Unites Arab Emirates. That is the real name of that place. And Emirates starts with a letter E, like America starts with A and our India starts with a letter I. What about our India? Don’t we have a flag like all other countries? Yes we do have. It is a really beautiful flag. It has three colors, Saffron (it is like red), White (every flags seems to have white color, isn’t it?) and Green. 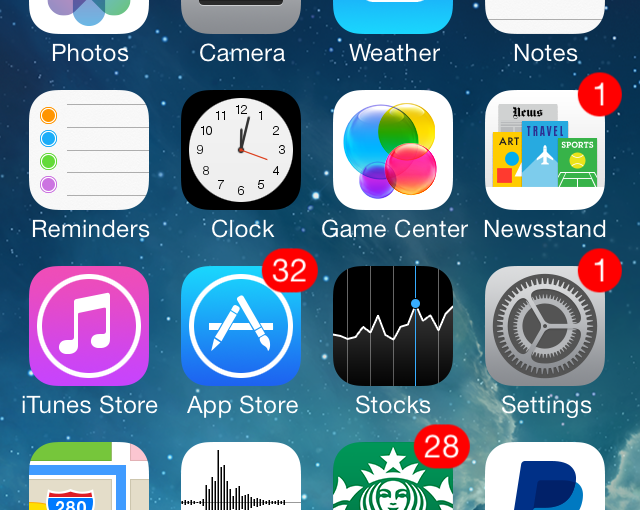 Look at that circle in the middle of white stripe. It is called Chakra. Chakra is another word for Wheel. Your cycle has two big wheels and many small wheels right? But this wheel on our flag is a special wheel. It is called Asoka Chakra. You can see that it has got spikes. Those little blue lines inside the chakra. Count all the spikes and you will be surprised that it has 24 spikes. For big people chakra with 24 spikes means many things. For you it means movement and speed, like when you get on to cycle (you can move fast and fast right?). When we are at it, can you count the colors in our flag again? There three colors, no there are four colors. Saffron, White, Green and Blue used for chakra. But we call our flag “Tri-color” flag. It just means flag with three main colors. But since it is our flag, it is also a pet name for Indian flag. Like malu is for Jhanvi. Our flag was not always like this all time. When Gandhiji wanted a new flag, he asked an uncle named Pingali Venkayya to make a flag for him. 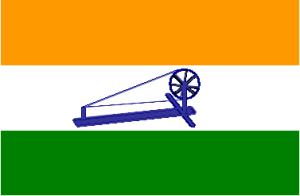 Pingali made one flag, but just with two colors. Green and Red. Gandhiji didn’t like it. He wanted to add white also into the flag. Then he looked at and thought he will add a “Charka” also in it. You can see that flag here. It is al most like our flag. But what is there in the middle? It is called Charka. It is a machine used to make clothes. There still are some people using this machine to make clothes. They make cloth from cotton. The dress you are wearing now is made of cotton. You can make threads from cotton using charka. Gandhiji was really fond of making strings using charka. Using that strings he used to make clothes. He never sold it but made dress for himself. After some time people did not like charka on our flag. They then put chakra (wheel) and that is how it became our flag. Making the Indian flag is very difficult. Only two places in India can make the flag cloth. And flag cloth must be always Khadi. Remember the strings made of cotton? By sticking all the strings together, you get a cloth. That cloth is called Khadhi. In Kannur, there are places called Neythu Shala. You can see how people make cloth by visiting there. The cloth they make is white. Then how will they add colors to it? You can do it yourself. Take a white cloth and pour some blue ink into it. Mummy has a pen with blue ink. After sometime, your white cloth will become blue color. That is how people add different colors into the Khadi cloth. It is called dying. After adding saffron and green color carefully into the cloth, our flag cloth is ready to use. Don’t they have to add white color into it? No No, because cloth is already white. After that they will make Chakra on the white part of the cloth. They do it by embossing. Take a coin and keep a paper on the top of it. Using your pencil keeps rubbing on the coin through the paper. After sometime, you will see a picture of your 50p coin on the paper! They do something like that using a chakra on the flag. But one big problem with our flag is that, it has to have a definite size. If you look at the flag, it has length and it has height. You know how to measure your height, right? You can stand up against the wall and mummy will make a mark on the wall where your head touches it. And then she will take a tape and measure how much is your height. Ok what is your height now? Let me know. You can also use a scale to measure length and height. Akkuchechi must have a scale with her. Using that scale, you can measure the length of this paper. Its length will be somewhat 8 inches and height will be 11 inches. For our flag, if the length is 3 inches then its height must be 2 inches. Such flag will be small. You can also make big flags. When you grow up you will learn proportions. Then you will know when your flag is 30 inches long, what its height should be. But now we can do some coloring of the flags. I have attached a big picture our flag along with this mail (www.girisree.com/BloggerData/Flags/indiaflagbig.gif. You must have three color pencils. Find out the proper colors. Look at the color picture of our flag. See where white comes. It comes in the middle. Where is the Green? It is on the top. No No. It is at the bottom. Now you know where Saffron is. Careful when you color Chakra. All 24 spikes should be colored properly. When you are done on one side, you have to do the other side also. I have not added picture on the other side. That you have to make yourself. After you have colored, get a scissor from mummy. She will give it you only if you be very careful with it. Cut along the flag carefully. Now you have a India flag, colored on both sides. Isn’t pretty? Now all you need is a flag post. Flag post is long stick on which a flag can be hoisted. Get a long stick from Ammama. Mummy also might have one. One with which she threaten you to beat with! Also get some gum. Apply gum on one side of your flag and paste it on one end of the stick. Hold on it on other end. Hey now you have the flag on the flag post. You can run, holding one end of the stick. Sometimes, your flag will start fluttering like the one we have here in the apartment. You can also shout “Jai Hindh” while running with flag. That is going to be real fun!